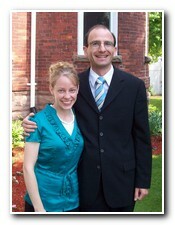 A Vision to Serve » Rachelle Waller’s Wedding – August 1st! Rachelle Waller’s Wedding – August 1st! I am excited to announce the upcoming wedding of my sister Rachelle! She is engaged to be married to Joseph Afarian on August 1st, 2009 in Minneapolis, Minnesota. 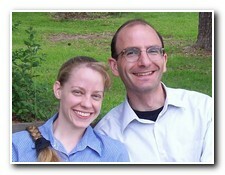 As an older brother, it has been a special joy to see the Lord bring this couple together over the past several months. 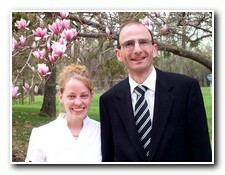 We first met Joseph in the fall of 2007 at a Christian retreat in Michigan. I was impressed with his quiet and thoughtful personality, and his serious commitment to Christian family values. Although I never imagined that Rachelle would one day marry an attorney, it is neat to see the balance brought out through the two of them. Joseph’s strong commitment to family values and spiritual leadership, complemented by Rachelle’s joyful, practical personality and well-refined homemaking skills give an excellent foundation for their future home togther. One of the most beautiful things I have observed in their relationship is the strong commitment to honor both sets of parents. Unlike the casual dating relationships (and later heartaches) we so often see in our culture today, Joseph did not begin this relationship by spending time with Rachelle. Instead, he spent several months last summer in careful correspondence with my parents, seeking to discern the Lord’s direction in this potential relationship. Then with the full blessing and approval of both sets of parents, my mother and father presented Rachelle with a letter from Joseph. -The first indication she received of his interest in pursuing a relationship with her. This, as could well be imagined, marked a significant change in Rachelle’s life. We all had to smile as we thought about it… None of us imagined that she would be the first one to be married. 🙂 Over the next several months, Joseph and Rachelle spent many hours on the phone together, getting to know one another, and finding the Lord’s confirmation in this new relationship. 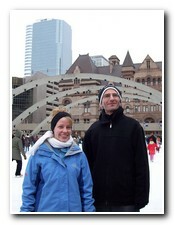 Visiting Toronto, Canada, in February was an adventure for the whole family as we loaded our van for the trip across the border to visit Joseph Afarian’s home and family. We were graciously hosted at the Afarian home, and enjoyed good fellowship with his family and friends. From basketball on Friday evening to church on Sunday morning, a visit to Joseph’s office and meetings with friends, a full itinerary made the most of our weekend together. Filled with many details, calls and meetings, the last few months have quickly flown by. Rachelle and Joseph were formally engaged in April, and at the end of May Rachelle concluded her work responsibilities at IBLP to spend the next couple months preparing for her wedding. I miss seeing her smile when I pass her empty desk in the finance office, but I rejoice with her in this new chapter in her life. 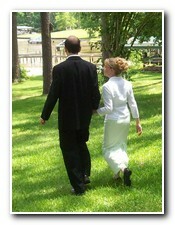 Wedding preparations are a new thing for us, but we are taking full advantage of the benefits of a large family. 🙂 It is really neat to see the diversity of skills coming together as we get ready for Rachelle’s special day. Dad’s practical organization of people and details keeps everyone working together, while Mom’s perspective brings creative ideas and a mother’s wisdom to our developing plans. David’s creative negotiation skills have saved hundreds of dollars and his enthusiasm has been a constant inspiration for the rest of us. Sarah is putting her sewing skills to good use as she works with Rebecca and Lydia to sew the bridesmaid’s dresses. I have been helping on the technology side with Web site updates and invitation mailing lists, while Derrick is coordinating the transportation of Rachelle’s belongings to her new home in Canada. Even the smaller Wallers have been playing a key role in these weeks, from collating wedding invitations to preparing beautiful meals for the family, and keeping up with chores around the house. In addition to our family, we are so grateful for a number of others that have jumped in to help in various ways as we prepare for this event. It has truly been a team effort! Thank you all so much! Thank you for your part in our lives!